I just started sewing in earnest about two years ago. I've never been afraid of sewing, but I dove into it for my wedding, and by following the directions that came with the various patterns I used I was able to make not only shirts and trousers for myself, but also a frock coat for myself, and my wife's wedding ensemble, including a Victorian riding jacket with boning. I'll tell you, her jacket came out a lot better than my frock coat, but I'd made mine first and learned a lot. That's just to say that I'm pretty much not afraid of any pattern I can get my hands on. I'm good at reading and following directions, and I have a good spacial sense so I can envision how fabric will end up after being turned inside out and backwards (like collars and welt pockets). 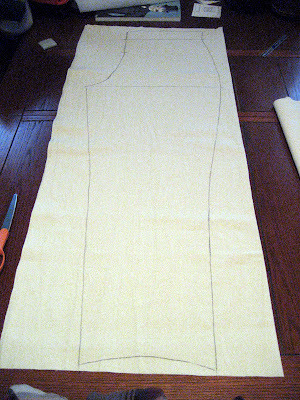 The next step is to learn to draft my own patterns. That way I can make anything, and I'll know it will fit! 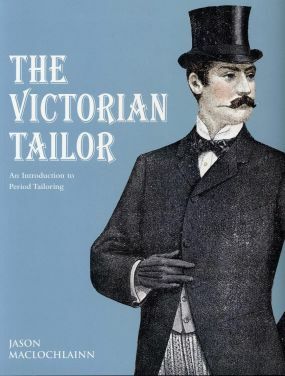 With that goal in mind I found a book that could have been written just for me: The Victorian Tailor: An Introduction to Period Tailoring, by Jason Maclochlainn. It walks you through the changes in fashion through the various decades of Queen Victoria's reign, details fabrics which were used in making the clothing, teaches you the tools of the time and how to sew various stitches necessary to make the clothes, and then finally tells how to measure and scale your measurements, and how to draft a variety of styles of trousers, waistcoats and coats. Well. 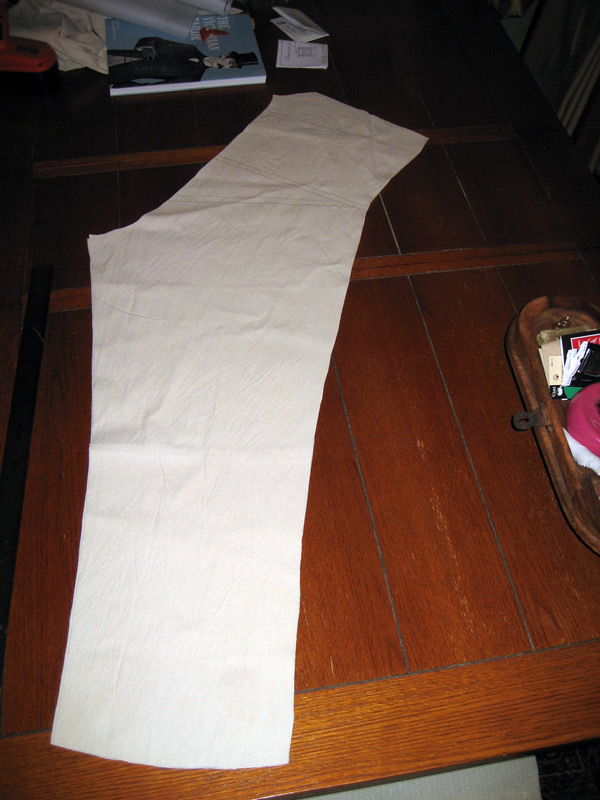 I followed the directions for drafting a general style of trousers (this one isn't given a place in time or style, but there are other patterns for trousers including 1850 pants, shooting breeches, 1868 dress pants, 1870s American pants, 1870s morning pants, and an entire lounge suit). However, the directions for drafting the pattern don't include how to draft a fly or the fly button catch, and of all of the trousers I just listed, only the lounge suit includes those pieces in its pattern. I guess I'll have to use that as a base for these trousers. Also, even though I said above I have good spacial sense, I got a little lost toward the end of drafting my pattern. Apparently the book was supposed to be twice as long, and the publisher had it edited down to its present size, which could account for why some of the directions are extremely detailed, and why other bits aren't there at all. Certainly I can figure out on my own how to make a fly covering, especially as there are details on the fly lining. Having said all that, here are pictures of my draft. I basted them together, and they seem to fit fine, despite my kind of mangling the seat portion of the rear pattern.